The process for making soap via the Hot Process method is quite similar to the Cold Process method. In fact many of the same recipes can be use interchangeably between the two methods. In the extended entry below, I have listed the materials needed to start the soap making process. The basic premis behind soap making is to take an acid (fat) and mix it with a base (lye) to form a salt like product that is able to change the surface tension when mixed with water making it ideal for whisking away particles of dirt and oil. Safety First! You will need a pair of safety goggles and a pair of safety gloves. Lye is extremely caustic. You'll notice just how caustic if you leave it open on a humid day. You might want to also consider an apron specifically for making soap. Unless you're like me and you think holes in your jeans are cool. For some soap makers, the melt and pour method is a simple alternative to the cold and hot process of actual soap making. The different in the melt and pour method is that no saponification actually occurs in the process. This limits the ability of the soaper to control the quality of the soap because the oils that go into the soap are not chosen. 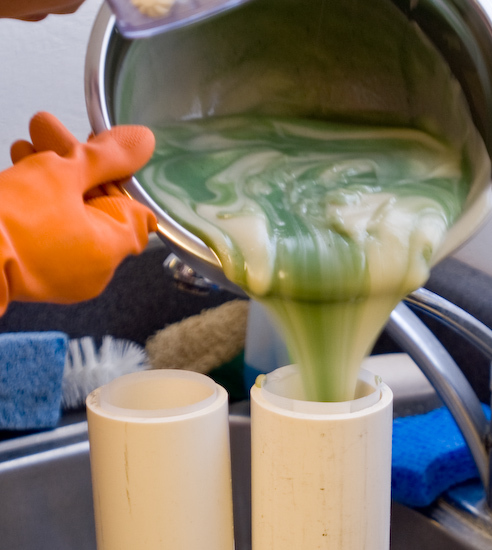 Some soap crafters choose to use this method because it removes the need to use caustic chemicals like lye during the process of making soap. This process has already been handled before the soap base has been purchased. 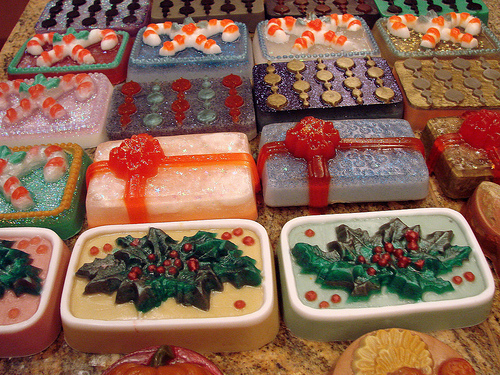 The process of melt and pour soap crafting is actually fairly simple. Once you have obtained a melt and pour soap base, you simple place the base into a double boiler and heat up the product. At this point additives such as fragrance, essential oils, colorants, exfoliants or moisturizing agents can be put into the mixture. While the mixture is still hot, you pour it into individual molds or trays just as you would in an actual soap making process. Once the mixture is cooled, it can be sliced and used. A kidney cleanse is a great way to avoid kidney stones, but how do they form? If you are dehydrated or have consumed lots of toxic substances, the urine that passes through the kidney can crystallize, forming mineral deposits or kidney stones. Drinking lots of sugary sodas adds to the stress of your system. If the stones become too big they can block urine flow, causing extreme pain in your lower back. A kidney cleanse helps these stones to dissolve, easing your pain, and can also prevent them from forming in the first place. Walking down the bath salts aisle (yes an entire aisle), you will notice an array of various concoctions to add to your bath to make it more soothing or better for your skin. The prices of these additives can be beyond belief, if you know of what they are actually made. Bath Salts are by far one of the easiest things to make. You probably have all of the ingredients to make a very simple unscented bath salt right now. Really all you need to make bath salts is salt of any kind. A good simple recipe is combining 1 cup of Kosher Salt with 3 tablespoons of Baking Soda. For a cheaper Bath Salt that actually soothes the muscles even more, combine 3 cups of Epsom Salts with 2 cup Kosher Salt and 4 tablespoons of Baking Soda. If you would like to add fragrance to the mixture you can just add about 20 or so drops of some essential oil or even your own handmade fragrance oil to the salt mixture. 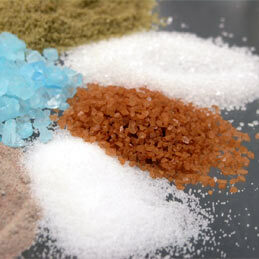 You can experiment with exactly what combination of salts you have on hand or prefer. The basic recipe I have provided is a 3:2 ratio of Epsom salt and salt. Really that is all there is to the basic salt recipe. In more posts I will talk about more advanced techniques including the use of colors and Dendritic salt. As I indicated in my previous post Meditation Changes the Brain, there is scientific evidence that meditation has beneficial effects not only on your mood and outlook on life but actual physical changes in your brain that increase your capacity to think and reason. Then question then becomes, "How do I meditate?" or even, "What is meditation?" Merriam-Webster defines the act of meditating as engaging in contemplation, reflection or a similar mental exercise. Some of the simplest exercises can be considered meditation. Many people subscribe to the simple 5-10 minute breathing meditation where you simply focus all of your attention on the act of breathing (usually focusing on the breath entering and leaving your nose) and counting those breaths with one count being an inhale and an exhale. Another meditation for those that have trouble sitting still is paying attention to the act of walking --when your foot hits the ground; what parts hit first, next and last. Another meditation technique that helps those that are easily distracted is lighting a candle and focusing on the flame. A good addition to this exercise is to have a paper and pen ready and just mark down each time your mind wanders. When your mind wanders, simple put the mark on the paper and refocus on the flame. Do this for as long as you can muster. With this technique you can keep track of your focusing progress and how disciplined your mind has become. The use of flowers as perfume dates back too far to be traced by man. At one time diseases were thought to be transmitted through bad odors, which led to the use of flowers and scents to purify the air. Religious ceremonies using herbs and resins have been used since Egyptian times. Over the centuries flowers have taken on a special meaning. In soap making, these fragrances are prized and often times hard to come by when looking for the perfect scent. 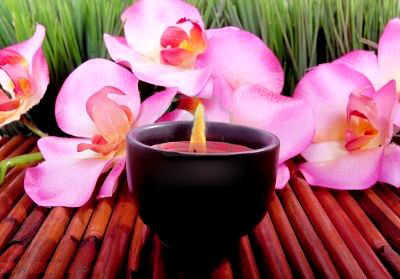 Today, most of the fragrances you buy are synthetic and do not come from flowers themselves. If you do find a pure flower extraction, it is often times very expensive. 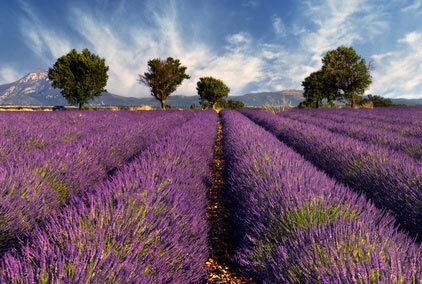 But using a technique known as enfleurage you can extract some of the scents of flowers right in your own home. To begin this process you will need to melt down enough solid unscented oil to cover the bottom of at least two large shallow plates. Each plate should have approximately 1/2 inch of the melted substance. The plates need to match so you can place them upside down on top of each other without any gaps. When the fat has solidified, score it in crisscross patterns and fill the space between the plates with the petals of highly scented flowers. If you would like you can add a bit of citrus peel, herbs or spice to accent the scent. Be very careful not to allow any of the plant parts to drop on the plates since they can introduce fungi that will spoil your perfume.